How can it be December already? I vividly remember planning 2nd semester of 5th grade at this time last year. We are very much looking forward to Christmas break this year, and after learning from last year's experience, we are finishing a bit earlier. Next Friday is our last day until January! We also took off Thanksgiving week except for daily math lessons as it math nearly a month behind due to Amber's illness. We also watched The Ten Commandments with Charlton Heston as a family in the evenings during Thanksgiving week. It was fun to show Amber such a classic and to view it as an adult. There were several different aspects that I noticed this time around. (BOTTOM-LEFT) Ready for advent calendars (regular and LEGO). It's a daily tradition. Amber insisted on the stuffed Olaf in her hands after seeing Frozen. He was her favorite character. We had a good visit at my sister's house for Thanksgiving day, even if I had to take most of Amber's food with me. My sister and mom tried very hard to make a few additional food items that Amber could eat and we greatly appreciated their efforts. My sister also had a cute puppet craft for the two oldest grandkids. Amber and her cousin then decided to put on a puppet show with the completed puppets. They were so adorable. The first grader and sixth grader working together to write their own script and then perform it. There were a few glitches in the performance; namely the 2 year old wanting to help and the makeshift stage doing more shifting than staging. The best quote from the show was Amber's exasperated "We should have practiced more." We were all enjoying the show so much and laughing with the kids that no one remembered to take pictures. (TOP-LEFT) Amber and Milori at the vet... he was diagnosed with mild asthma and possibly an enlarged heart. (TOP-RIGHT) Amber peeking out from behind the puppet stage. 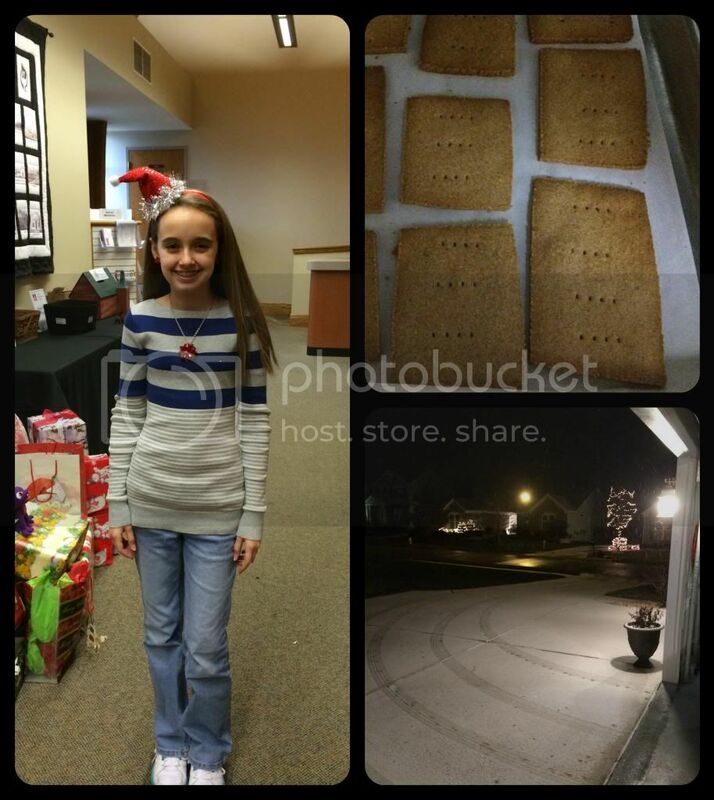 As for her health, Amber did extremely well over Thanksgiving. We even did a trial of cocoa (in a very small dose) on Thanksgiving, and there were no repercussions. She did have one weird blip earlier this week, but by the next day all issues were resolved. We went ahead and trialed banana on Wednesday and are still waiting to see if there have been any issues. She only ate 1/3 of a ripe medium banana (38g), so hopefully that wasn't too much fructose. From my understanding a whole banana at once would probably put her over the edge. Amber does look significantly better than she did two weeks ago. She still gets extremely tired and puny at the drop of a hat, but overall she is doing a lot better and I know more of what I'm doing with her food too. Amber has been very cooperative with her boring diet and even refused a couple of questionable food items I was willing to let her try. She really hates feeling sick. (BOTTOM-RIGHT) Goofing around with Rosetta. My plan for December school was to be pretty laid back and simply try to put all the subjects at a good stopping point. So far this week we managed more than I had anticipated, including math, spelling, grammar and science every day but Monday. Amber had her last art class of the session on Tuesday and we will pick up that final project next week. Still no pictures of the completed projects as they are all Christmas presents. I'll try to remember to take pictures before we wrap them all to use in a future post. The exercises I created are all things I've had to do to learn how to feed Amber safely. I installed the same food intolerance apps on her iPad as I have and taught her how to check the fructose, sugar, sorbitol, gluten, lactose, and fructan content of foods. She still has a couple of meal planning exercises left to complete, but she has honestly enjoyed this unit. Each day she asks when we are going to work on her FructMal unit and can she do more than I planned. It is clearly important to Amber that she understands her condition and learns how to handle it when I'm not around. I'm quite proud of her for taking the initiative on this and asking to know more. In case you are interested, Amber suggested that I post the FructMal unit on my blog for "other kids who have Fructose Malabsorption, so they can understand it too." I've posted it, but I'm not sure how useful it will be since it is a quickie that I wrote directly to Amber's level of knowledge. This past Monday was my mom's birthday, so we took the day off from school to have a fun time Christmas shopping with Mom and my sister. We all went out to a late lunch before Amber and I had to leave for her handbell practice. Then later in the evening Fred, Amber and I met with Mom again for her birthday dinner. 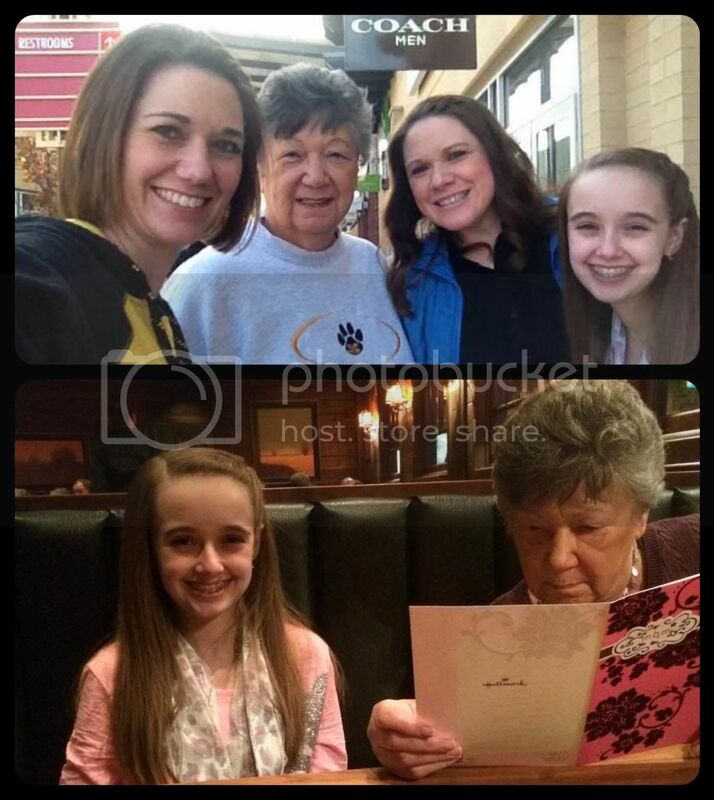 It was a very long day for Amber, but she handled it well and Mom had a special birthday with all of her girls. Thursday was Amber's dress rehearsal for today's dance recital. We are hoping that the snow stays a little farther south so that the recital is not canceled. I did not remember to take any pictures at rehearsal, so here's to hoping I remember tonight. Today also marks a school year milestone: Amber has officially completed half of the required core hours for sixth grade. She was already well past half of the total hours required, but our state specifies that 600 of the required 1000 hours must be in the core subjects as defined by them. I am very conservative in what I consider the core hours. For example, I could include her logic curriculum under mathematics, but I chose to use it in her free electives. This gives me a little bit of buffer if we really do need some help obtaining hours later in the year. (BOTTOM0-RIGHT) The first snow of the season has started... during dance dress rehearsal. We are hoping for a quiet weekend to balance out the busy week and perhaps to try another new food with Amber. It really depends on how she feels. She has a cold starting that I'm sure will affect her stomach and intestines in some way making it difficult to determine how the food affects her. However, I'd really like to give stevia another try. I have finally obtained pure stevia extract, and let me tell you it definitely is much sweeter than the blends with filler sold in the grocery store. 1/8th of a teaspoon was plenty for my glass tea, and I like my tea quite sweet. It would make life so much easier if Amber could tolerate stevia. I wouldn't have to worry about any digestion or blood sugar issues. I hope everyone stays warm and if snow is predicted in your area (like it is here), stay safe. oh I haven't seen the Lego winter sets - thanks I should check them out. My son is doing the Advent building each day. 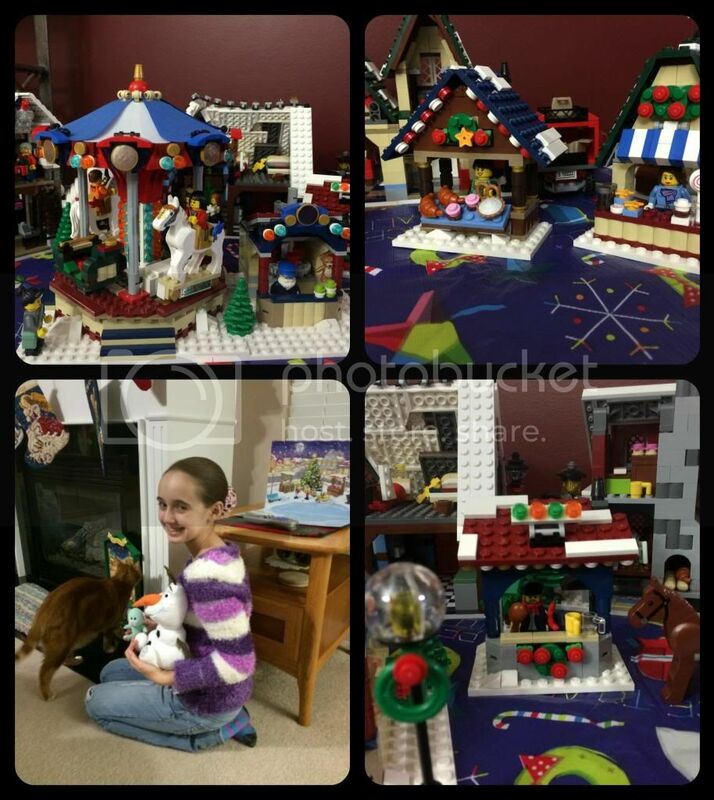 I agree with Stef and Ticia -- I love the LEGO winter sets! 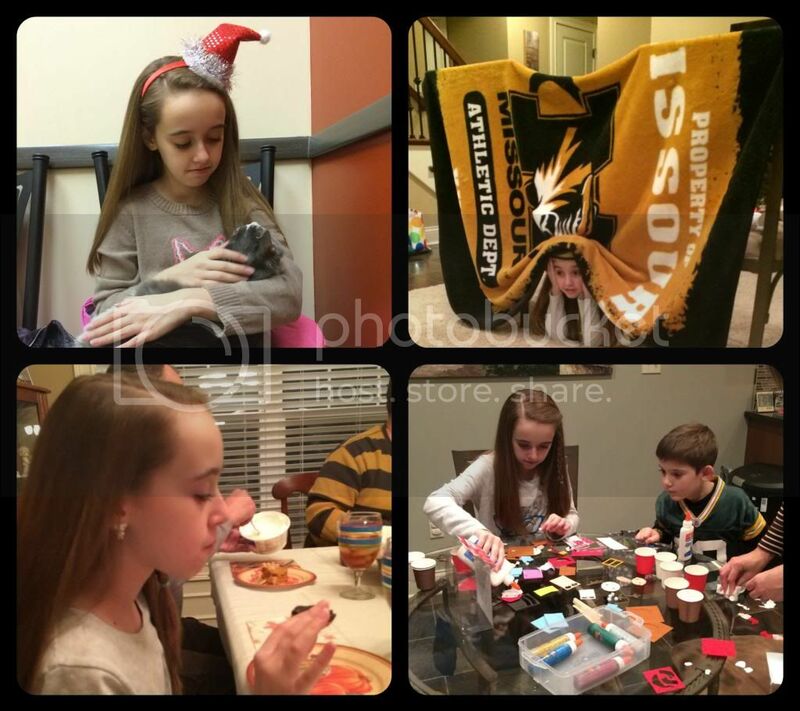 I'm happy to hear Thanksgiving went well for Amber... you are blessed with a family to spend so much time with, too. I am so glad to hear that Amber is doing so much better. Thank goodness you all are on the right path. You are doing a wonderful job taking care of you daughter. I hope her recital was wonderful. We just finished 4 shows of the Nutcracker. I am glad for a day of rest. I think it's wonderful how Amber is taking charge if her condition, cooperating, and concerned about her own and other people's health! I know many adults with health conditions that they refuse to take seriously. 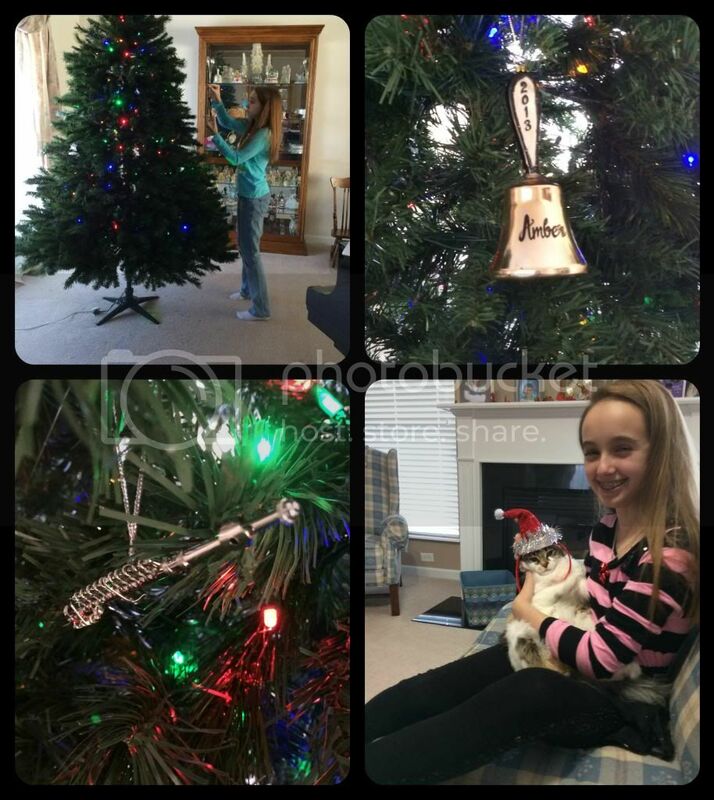 I'm really glad that she's feeling better and able to enjoy the holidays!